Inside Spring Studios, under a sea of colorful paper decorations, Prabal Gurung presented his fall 2019 collection. 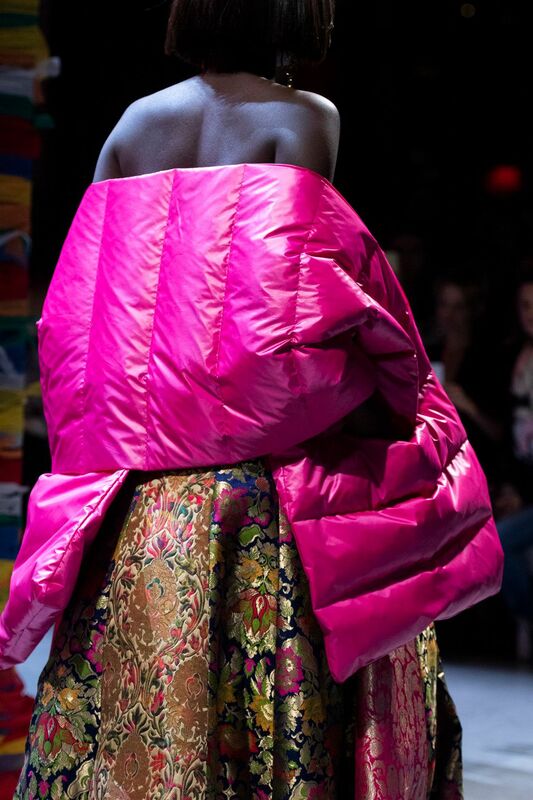 As one of his most colorful shows yet, the designer referenced some of his recent travel to concoct fall 2019 pieces that had elements of both east (and his own heritage) and west (his current location, and the American sportswear icons like Bill Blass, whom he referenced as inspiration). Here's everything you need to know about the show. 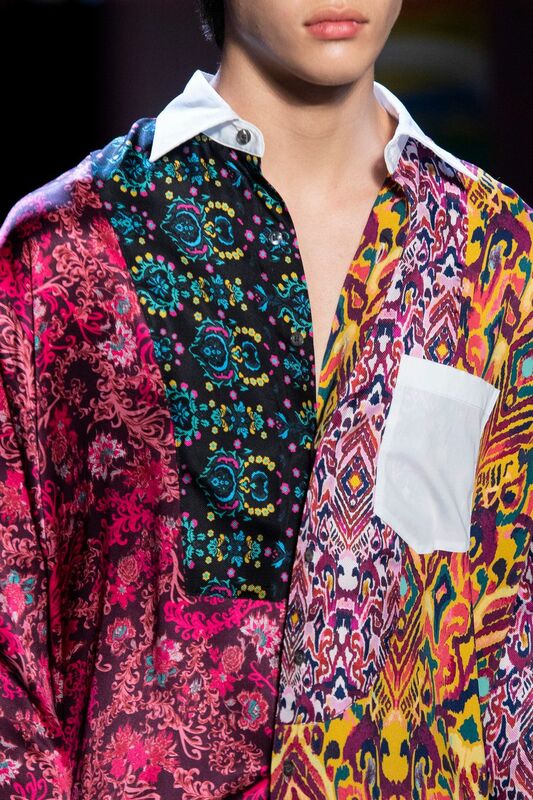 Gurung capitalized on his recent trips to India and Nepal for his fall 2019 show inspiration. 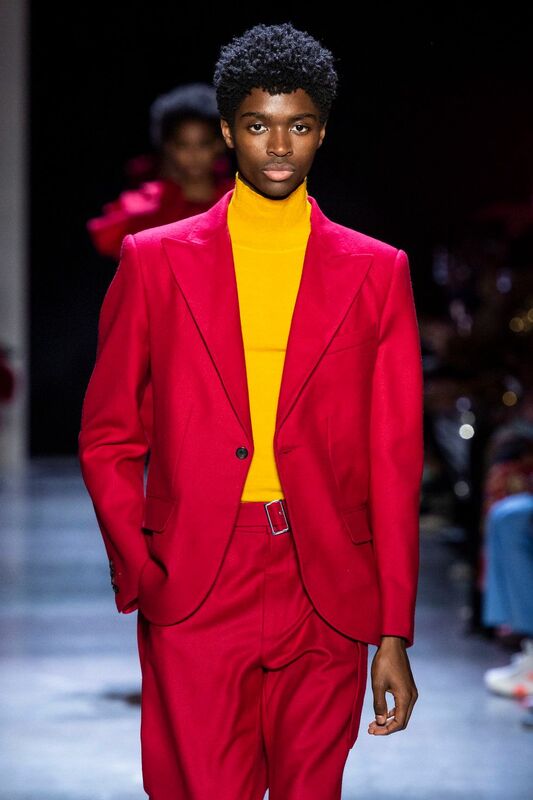 That, combined with a celebration of his own multicultural roots as filtered through a New York view, impacted the wide range of colors, textiles and silhouettes. South Asian landmarks, such as the Taj Mahal, were hand painted on silk fabrics. There was sari draping and ikat prints. But they were seamlessly paired with garments such as pinstripe blazers, or quilted pea coats — the ultimate statement in east meets west. It was hard to ignore the statement earrings worn by models. In fact, some of them trailed down to the waist. Others crawled from the earlobe to the top of the ear in the form of pearlescent beads. All of the jewelry was by Japanese jewelry brand Tasaki, of which Gurung is currently creative director. One thing was clear — this was a collection about color. Fully saturated turquoise, egg yolk yellow, scarlet, burgundy, candy pink and brilliant hues of green were stacked on top of one another to create an explosion of color and movement. Some of the biggest names in the modeling business walked the show. Candice Swanepoel and Bella Hadid closed the show, one after the other. Ashley Graham, Winnie Harlow, Dilone, Duckie Thot and Taylor Hill were also there.